AJWS's Global Justice Fellowship is a selective program designed to inspire, educate, and train American rabbis to become national advocates for human rights in order to affect U.S. policy and advance our mission to build a more just world for all. AJWS’s Global Justice Fellowship is a selective program designed to inspire, educate, and train American rabbis to become national advocates for human rights in order to affect U.S. policy and advance our mission to build a more just world for all. The six-month-long fellowship includes a seven-day educational trip to Guatemala, followed by the opportunity to advocate for policy change in Washington, D.C. Participants experience the power of grassroots efforts to overcome injustice and then use their moral authority to impact national decision-makers and inspire their own communities to take action for social justice. The fellowship is open to all North American rabbis who possess the potential to provide outstanding leadership in shaping the future of the American Jewish community’s commitment to global justice. This program is highly subsided by generous donors. Fellows will pay a sliding scale registration fee of $180 – $540, plus the cost of visas, vaccinations, medications, health and travel insurance, and some meals. Applications for the Global Justice Fellowship are due by May 24, 2019. Rabbi Howard Stecker poses a question to UDEFEGUA leader, Jorge Santos. An AJWS grantee, UDEFGUA supports human rights defenders in Guatemala who face grave threats—political and physical—for fighting for justice in their country. 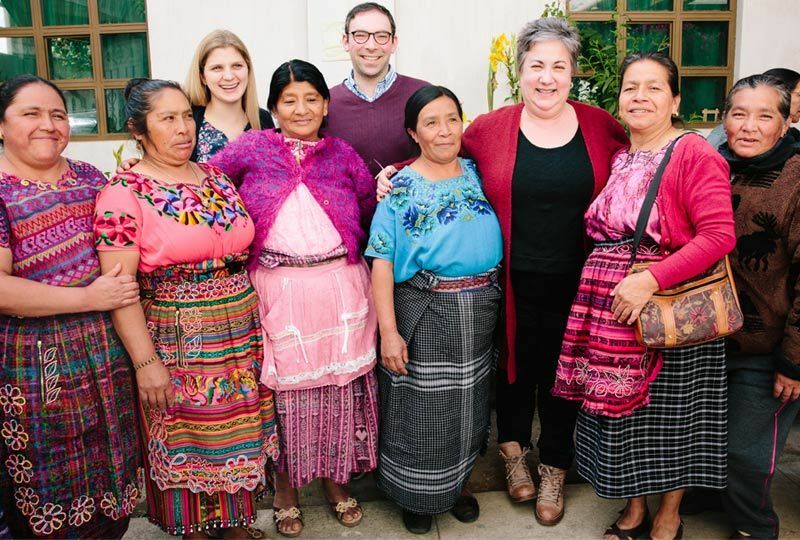 Rabbi Julie Zupan participates in traditional Maya welcoming ceremony facilitated by AJWS grantee Nuevo Horizonte, a cooperative of indigenous women working to promote women’s participation in politics and public decision-making. Rabbi Ariella Rosen shares interpretation equipment with a member of Nuevo Horizonte. These headsets enabled the rabbis and grantees to communicate seamlessly and participate in discussion sessions together. Rabbi Elliott Tepperman shares words of gratitude with AJWS’s Guatemala Country Consultant who is himself a survivor of Guatemala’s bitter armed conflict. Rabbi Laura Abrasely and CODECOT midwife Doña Olga pose for a photo in her clinic, located inside her home. 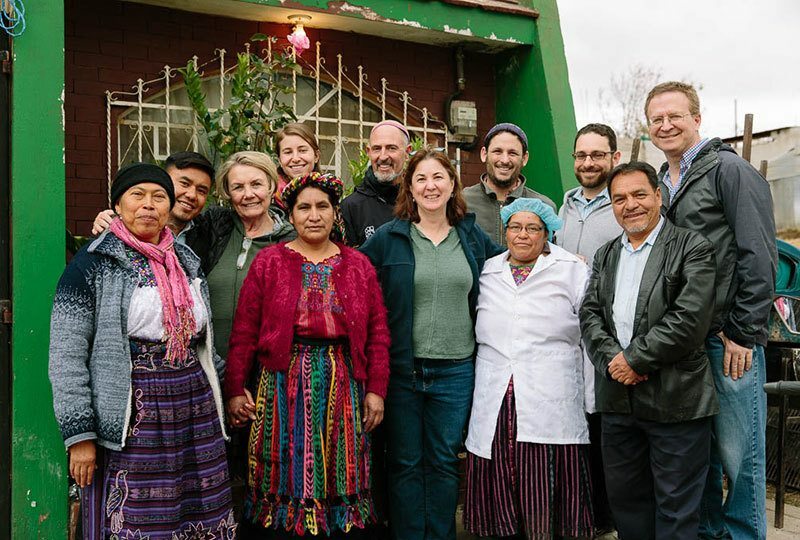 With support from AJWS, Olga and her organization, CODECOT, provide maternal care to indigenous women in northern Guatemala and advocate for better health services for the indigenous community. A CODECOT midwife welcomes Rabbi David Weizman to the organization’s training center and clinic. Rabbi Elie Weinstock presents a token of gratitude to Edgar Perez, a leading human rights lawyer from AJWS grantee Bufete Juridico de Derechos Humanos. Bufete’s attorneys provide pro-bono legal representation to activists who have suffered human rights abuses. Rabbi Joseph Meszler (right) speaks with Edgar Hernandez, legal assistant to Bufete Juridico de Derechos Humanos, about the corruption and impunity that plague Guatemala’s government and legal system. Rabbi Noah Farkas writes a “message for hope” on the interactive reflection wall at Casa de la Memoria, a museum dedicated to remembering human rights abuses through Guatemalan history. AJWS’s grantees in the country work to stop the corrupt forces that have allowed these abuses to perpetuate. Rabbi Justin Goldstein presents an AJWS plaque of gratitude to Quimy de Leon, leader of Prensa Comunitara. Prensa, a cooperative of independent journalists, strives to build a free press in Guatemala by reporting on the stories that the country’s official media censors and suppresses. Rabbi Andy Feig poses a question to AJWS grantee Bufete Juridico de Derechos Humanos, whose lawyers defend, among others, indigenous activists fighting to retain their ancestral lands. Rabbi Ilana Schachter gives CODECOT midwives a token of appreciation for welcoming the Global Justice Fellows, presenting on the lack of access that indigenous women have to basic maternal care, and explaining their work to provide holistic care for the women of their communities. Rabbi Adina Lewittes (in gray) shares a laugh with members of indigenous women's cooperative Nuevo Horizonte and Ruth Messinger (far left), AJWS’s Global Ambassador. Global Justice Fellows, Ruth Messinger, and AJWS staff in Centro Historico, Guatemala City.